Hugh Ballou Interviews Dave Lucas about his Misfit Entrepreneur concepts and systems. 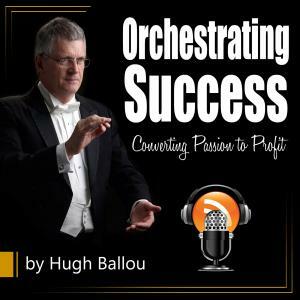 Hugh Ballou: Dave Lukas has this podcast called the Misfit Entrepreneur. Dave, you and I met virtually, and we are getting acquainted. What I have seen so far is quite impressive. Say a little bit about your background and your business, and then about this podcast, this Misfit Entrepreneur. Talk about yourself and your background and what the inspiration was for launching this great podcast you have. Dave Lukas: Thanks, all good stuff. Thanks for having me, and thanks everyone for tuning in. A little bit about my background just so you guys know. I have always ben an entrepreneur, ever since I was a kid. Like most people, I did the lawn thing, but I did a direct sales business at my college and took it to another business after college that I brought to Columbus, Ohio, where I live now. I split time between Columbus and San Diego. I am in the health and wellness arena. I did that for a year. Then I had this crazy idea. I either wanted to run or own a Fortune 500 someday. So early 20s, right? Everything you can accomplish. I got to get up from the ground floor with one of these and really understand it. One of the best places to do that is on the sales side of things. If you look at a lot of CEOs, a lot of them are salespeople. Sales is a skill that no matter who you are in life and no matter what you do, you really need to understand and utilize. One of the things I talk about when I do speeches is that sales is one of the most innate, natural abilities we all have. If you have a spouse or a significant other, you sold yourself to them, and they sold themselves to you. It’s something that we do naturally. We don’t think of it to be more deliberate at it. I went to school essentially. I worked for a top 50 training program, Fortune 500. Spent a number of years there. Had a lot of success. I was Rep of the Year and all that in my early days. Then I became a turnaround manager and a trainer nationally for all of their rookies. During that time, I continued my entrepreneurial efforts. I continued to invest. I continued to build up other businesses. When you are successful in sales, that gives you autonomy, which allowed me to do that. One of those companies I invested in and helped to guide and mentor in my free time was a company called Grass Technologies. It was a very unique company in the data intelligence space in the travel industry. Anything can be learned. That is one thing I learned. Going from where I was and going to the travel sector is a completely different world. We grew that business from basically nothing to- Nowadays I spend a lot of time there, and it is my largest business. Inc 5000 multi-year winner. We do business in over 100 countries. It’s been a lot of fun. We have that. I do some other things, where I teach and speak and train. I work in the investment side of things, and I am part of a small hedge fund. Then I started this podcast. It’s called the Misfit Entrepreneur. Being an entrepreneur, that makes sense. People are like, “Oh yeah, you’re an entrepreneur. You started a podcast to learn the unique traits of entrepreneurs.” The reason I did it is not what most people think. The reason I did it came about three years ago when my wife and I went to China to adopt our daughter. We adopted our daughter, and we get home, and she is 18 months old at that time. In my youth, I spent a lot of my extra time, weekends and evenings, learning. I trained with Zig Ziglar, God rest his soul; Brian Tracy, who wrote the cover quote for my bestselling book; and Tony Robbins, all of these guys, billionaires and millionaires. I spent about five years spending every waking moment that I had learning from these people. That is how that book came about. Fast forward multiple years later, and I have this 18-month-old. I am a dad now. As we are starting to become a family, all of these things are bubbling up that I forgot that I had learned throughout time. I learned from this person or that person. I’m going, Oh my gosh. How much of this stuff have I forgotten over the years? The idea for the Misfit Entrepreneur came about because at that point I said, “I have to have a way where I can immortalize these lessons and this amazing advice from people like you and others throughout the world for her to have even after I am dead and gone.” That is how it started. Do I do a blog? Do I do a video blog? Do I do an email address that she get when she’s older that there is all this stuff in there for her? I am a big listener of podcasts; I know a lot of people are. They are pretty mainstream nowadays. I love the medium because you can take it anywhere. You can take it to the car, to the gym, while you work. You can have it anywhere, which is different than a video or a blog where you have to be present in viewing and reading. You can’t take it to all these places. So that is why we settled on a podcast. We launched in September of last year. It’s been a blessing. Now we are in over 50 countries, and we have had amazing guests. It’s been a lot of fun, and it’s helped to bring this amazing information that these people have, these secrets, their misfit trades that set them apart and helped other people learn and put to use in their lives. That is a brief background on all that fun stuff. Hugh: That’s a very different paradigm than a lot of people I talk to, as you might imagine. I love that. We had a conversation before we went live today and discovered that we have a lot more synergies. I am glad to have you today as a guest. My audience I would classify as social entrepreneurs. They are running a business, or they are running a church, synagogue, or local community foundation. The commonality is that we all are establishing good, sound business principles in the organizations that we run. I want to probe some of that with you because the things that make us independent as entrepreneurs also cripple us so we don’t fit. Some of the things we need to learn are things we don’t yet know we need to learn. I love what you talked about in keeping track of all the things we have been exposed to. We have learned so many things we have forgotten a lot of them. I love the podcast. Like you mentioned, I love keeping current on my skills. You may know that I spent 40 years as a musical conductor. The composer/conductor Ralph Vaughan Williams said that music did not reveal all of its secrets to just one person. I get tidbits from a lot of other people, which is great. As entrepreneurs, we tend to go to the shiny object when we need to stay focused. I think podcasts are a focus for me. I am an entrepreneur. I am guilty. Seems like you have this bestselling book. What is the book about? What’s the title of it? Dave: The book is called The Ten-Year Career. It came out in 2012/2013. The idea behind that book was, Okay, I spent all this time learning all this stuff. How do I condense it down so it’s useful? It came about because I had this giant binder of all these lessons, notes that I have learned along the way. When I was working on one of my businesses or with someone else or just in general, I would pull this thing out and go, “Hey, I learned that from Tony. Check this out. Here is what we can do here with this.” Eventually, enough people said that I should distill it down and put it in a book. The biggest challenge for a lot of people is where to start. Where do I start, and how do I get that momentum? The book was written as a way to help people, whether you are just starting out, or maybe you have lost your way and are looking for that road map or path to help guide you to get yourself to higher levels of achievement. The book title, The Ten-Year Career, is based upon the fact that my goal was always to be at a position to where if I wanted to, I didn’t have to work within ten years. I am happy to say that I achieved that two years ago. To me, that was my goal. But it was the principles that had to be put into place consistently done over time to do that. One thing I found about success in very high achieving and high-performing people that consistently win, it’s not that they do one thing extremely better than anyone else—sometimes you have those cases—but really it’s they do a lot of things just incrementally better than the others. And they do that consistently. That is what’s in here. It starts off with: Who are you? How can you find clarity and purpose in who you are? Then it goes to helping you set goals for yourself so that you have something to go after and achieve. A lot of people don’t write down what they want. They don’t know what they want. You have to have that clarity to find it. Then we go into helping you get the skills you need along the journey. I talk about sales earlier. There is a chapter on that in there. There is a chapter on managing your finances. Productivity and time. Structure = freedom. I know that sounds weird, but the more structure you put into your life, the more freedom you will gain by it. That is something that is important. A lot of people don’t plan anything. They don’t plan their days or weeks, and they don’t plan for their success. We have all heard that cliché that if you fail to plan, you plan to fail. That is really true because being structured, understanding where you are going and how you are going to get there, makes it so much easier. That’s all in there. Then we have traits of highly sucessful people I have met along the way that are really stand-out things like what it means to be tenacious and what that looks like and examples of that, what it means to be committed. We go through all that. At the end, we share some unique ways—even from 2012 or 2013, they are still relevant today–that you can start a business before, if you have never started or created a business before, here are some unique things you can be doing. Ways of looking at things that are different to help you get ahead. Hugh: I am laughing because you were so in sync with these messages. We have talked very little. It’s like in James Allen’s book A Man Thinketh, he says, “We don’t attract what we need. We attract what we are.” The reason failing to plan is a cliché is because it’s true. I want to make sure people know. Is it ten number or ten word? Hugh: The Ten-Year Career. Is it Dave Lukas? Dave: It’s D. M. Lukas. Dave: I am the weird guy that spells it with a K. I am the one guy out there still, I think. Hugh: I misspelled you. How did I do that? Dave: No worries. It’s very common. Hugh: I’m sure they can find it on Amazon. It’s been a bestseller. What is a link to find you online? Dave: You can type in Dave Lukas in Google and find a lot of things. I am on all the social media as themisfitentrepreneur. Misfitentrepreneur.com. You will find everything if you go there. Hugh: People ask me how to find you. Did you try to Google me? I’m all over, as are you. A couple of interesting things. Thank you for explaining about the book. I got to get me one. There is a journey in writing a book of self-discovery. It’s self-empowering when you are trying to share with other people. Did you find that true? Dave: It’s my first book. It took me two years. Advice for writing a book if you are going to write a book: Ready, fire, aim is okay. You can always revise it. I really wanted it to be perfect in every way, so I went around and around and around. My wife knew me pretty well. In the beginning, I would dabble in it a little bit and go away from it. She knew me pretty well and said, “When you are truly committed to it, you’ll do it.” On those words, that was literally about a year. A little less than a year later, it was done, published, out. It is a journey. You discover things about yourself and who you are. You learn about things that you didn’t even think about. Especially when you are learning to write, most people aren’t professional authors. I’m not either. But you start to study how to get a message across succinctly. That transfers into other areas of your life. When you are on a meeting like this, don’t say too many words; only a few will do to get a message across. It’s interesting going through that process. You learn a lot, you grow a lot, and you discover some things in yourself you never knew you had. Hugh: Those are good words. That book seems like it would be valuable. As soon as I hang up, I’m getting it. In that explanation, there is something that came to my mind. A month ago, I had on a colleague of mine, Dr. David Gruder, organizational and developmental psychologist. We were talking about the shadow, that part of us that holds us back. You and I talked a little bit about mindset. This whole thing about sales, it requires a different mindset because we have the wrong idea about sales. I do work with lots of different kinds of entrepreneurs, including those who are clergy. They don’t believe in sales. What is evangelism if it’s not selling something you believe in? You have a need, you find value, and you connect people with that value. One of the people I want to have on here who is a friend of mine is Bob Circosta, who sold over $11 billion worth of stuff on the home shopping channels. He hates to sell, but he teaches people how to sell, and he is brilliant at it. It’s about the transfer of feelings, but it’s also offering people value. Would you speak to this? How do we reframe our thinking? The book that I referred to As a Man Thinketh has a lot of really meaty stuff. What does Dave Lukas have to say on how we need to reposition our thinking no matter what kind of entrepreneur we are and what kind of organization? I think it starts with us reframing our thinking. Would you agree? Dave: It is. This is one of my favorite topics to talk about because it’s where most people struggle the most. They actually don’t realize a lot of things about the way that they think. It’s funny you just mentioned a pastor or priest having trouble selling. What are you doing giving a sermon? When you are giving a sermon and doing the verse of the day and explaining that and trying to connect that with people’s lives so they take it and make a difference with it, that’s what you’re doing. You’re selling them on understanding that sermon. You don’t look at it that way, but that’s what you’re doing. Hugh: We tend to do that as irresponsible adults. We put limits on others, which sometimes they accept and sometimes they don’t. Dave: What you just said makes a lot of sense. If you guys think about that, you really come out with a clean slate, but we actually are conditioned to be who we are in life. A lot of that conditioning is great. Sources: parents, friends, media, culture, school, religion, everything has an impact on who we are. The thing that people don’t realize is that we have two minds. We have our subconscious mind and our conscious mind. Our conscious mind is what you use when you think to give an answer, like I am thinking it through now. That is your conscious mind. But your subconscious mind is actually the most powerful part of the brain. It is the animal part of the brain. It is the part that runs you without you even knowing it. How else do you think to drive a car or throw a ball? In a lot of situations, you just react. What you say is a reaction. You don’t really think. You say it, you do it. That is your subconscious. What the subconscious gets its information from is all that conditioning over the years. Basically it files that away in your brain, and when scenarios or instances come up, it takes that reaction or that way of thinking and applies it. You at home, how many things do you say because that is what you learned from your parents, or maybe things you do because that is what my parents did. That is all conditioning. The cool thing is there are a lot of cool things that come from that, cultural things, traditions, etc. But there are things that come into our lives that if you stopped and thought about it, you may not actually accept about yourself. You may think that $50,000 is a lot of money, or you say that, but when you step back and think about it, you say, “That is actually not a lot of money. I think $500,000 is a lot of money.” Or so on. The trick that people have to learn is what I call really the awareness factor. Awareness is the catalyst to change. Once you understand that you have been conditioned to be certain ways, then you have the choice to keep them and keep using them in your life or recondition yourself for what you want. I’ll give you a great example as to how the mind can quickly be reconditioned. Have you ever wanted or saw a car that you really like? Maybe a cherry red whatever. It’s amazing how after you put that to memory and say, “I really like that car. I want that car in that color,” how much you see them on the roads. I don’t know if you’ve ever had that experience before or seen that, but it happens. I remember when I first saw an Aston Martin on the roads here, I said, “That’s the car.” It’s the Vanquish. I went home and looked it up. That is on the goal board. That is the car. I had never seen an Aston Martin before that. But the next week, I saw four of them on the roads. That is your subconscious. Once you give it something, for all the credit we give it, it’s actually pretty dumb. It’s the animal part of the brain. It filed it away and started looking for it and pointing it out to me. It’s the same in all aspects of your life, from your financials to your relationships to everything. This is where once you are aware of this, you can start to do a few things. The first thing that I talk about with people is you have to develop what I call your inner coach. This is that little voice inside of your head that catches you when you go to start saying something or you go to start doing something that you don’t agree with in your life. It could be something that you learned from somewhere else or you have done over and over again but you realize that it’s not you. That’s not who I want to be. And you start to realize it. It doesn’t happen overnight. It’s a lifelong skillset that you have to do with this to start to change the way you think. What you do is you do what I call stop, ask, and choose. You stop yourself in the moment, ask yourself, “Is this the thought or reaction I want to have?” and choose the path forward that you feel is best for you. When you start to do that, you recondition that brain. When it comes to finances, if your success and wealth path is set to a certain number, you can start to retrain your brain to set it to a higher number. Ask yourself how you will get there. That activates the side of the creative brain and allows you to start growing and learning and taking the steps you need to go to those higher levels. It’s not easy for anybody. But you look at a lot of the most successful people in the history of the world. You will see that this trait runs common with them. Whether they figured it out or were just naturally gifted at it, this is something that they truly understand. They truly understand how to have true choice and gain control over their thoughts and the way they do things. I have a couple more points to that, but I will stop there if you have any questions. Hugh: Well, I do. I do. Or some observations. I am still in sync with all of that. Three weeks ago, on an interview like this, I was at the Napoleon Hill Foundation, which is a two-hour drive from me, speaking to the executive director, who used all of Napoleon Hill’s philosophies, running a bank or other businesses. He is now the executive director for the legacy of Napoleon Hill with his foundation. What you are talking about, the things that Napoleon Hill discovered when he interviewed all of these famous people, I never thought about whether they were aware of it or not, but they all had this trait as positive image failure was not an option. It was the subconscious that you program with your conscious. Bob Proctor speaks about that a lot. You are sort of springboarding on Napoleon Hill’s writings and philosophies, aren’t you? Dave: None of this stuff is new. In fact, it was around way before Napoleon Hill. Aristotle was talking about this stuff. Dave: It’s been packaged in different ways over the years that at the time made the most sense for people to understand it based on where they were in life. Napoleon Hill was a wake-up call to a generation essentially. When he wrote that, he packaged it in a way that really helped people to grasp it and be in sync with it and become aware so they really could put it into effect in their lives. We have seen it in other ways. We have seen The Secret and other things that have been packaged around this concept. But at the very root core of it, it comes down to a very simple process: your beliefs lead to the way you think. The way you think leads to the way you feel, the way you feel leads to your actions, and ultimately your actions lead to your results. Now if you take out the middle of that, you get beliefs lead to your results. What you truly believe ultimately becomes your results. What you focus on in life becomes your life. This is where the clarity is so important to understand what you truly believe. How many people take the time to stop and ask themselves what they truly believe? What do I truly believe about my life? What do I truly believe about my finances, my relationships, my family, my spirituality? What do I truly believe? We live in such a fast-paced society nowadays. We stop the microwave with three seconds left, I often joke. We can’t wait those three seconds anymore. Ding on the phone and we are automatically trained. Talk about subconscious conditioning. The phone dings and we are automatically on it. When do we have time? Or does it not feel like we don’t have time to stop and ask ourselves what we truly believe in life? Take two hours and put pen to paper on what you truly believe. It will change your life. What you truly believe will turn to actions in your life. You have to constantly remind yourself of this stuff. You can’t just do it once and be done with it. Again, what happened in the news yesterday? Anybody remember? It moves that fast. A great thing for you to do is remind yourself of these things. I will give you a simple one. I know it sounds goofy, but I have been doing it almost every day for a decade now. I have a white board in my office. When I walk in every single day, it says, “What type of attitude will I choose to have today? Great, fair, or poor.” Every morning, I have to come in and take a marker and circle which one of those I am going to have. I know it sounds rudimentary, but remember the subconscious is the animal, rudimentary part of our brain. Every day, I come in and not once in ten years have I circled fair or poor. It’s always great. When something doesn’t go right or I feel myself starting to react, that bubbling up inside you that we have, I look up there and saw that I circled I am going to have a great attitude today. I stop myself, ask myself how I want to go forward, and then choose the way that I want to do it. I can’t count how many times how having a simple board in front of me has made a difference and saved a deal or relationship or allowed me to better coach someone or make the right decision at the right times because just like everybody else, it’s a work in progress in life. I still react to things. I am not perfect; ask my wife. Little things like that make such a huge difference. Remember we started this by talking about the high-performing and successful people, they do little things incrementally better consistently. That is an example of one little one that works really well for me. Hugh: Consistently. I love that word you just slid in there. You’re talking about the structure. I laughed when you were talking early on in the conversation about having a structure in place. I am a musician. It’s a very ridged discipline. It’s mathematical and exacting. We have a structure. But because we have the structure, now we can be creative within that structure. Now we can spend our energy letting it happen. We are not spending energy trying to figure out what happens next. You’re hitting a lot of universal truths. What Napoleon Hill did was understand the laws of nature that have always existed, but he did what I would call original research by interviewing people who actually employed it. Like you said, he put it into a system that people could replicate that goes back to Aristotle and Biblical writers and other points in history. It is very consistent with all of that. He lists the attributes of true wealth. Money is the last one because it is the least important, but it is the result of all the value. The law of attraction came out of that. We are talking about that. We are also talking about programming your subconscious. That was a big part of that. Bob Proctor speaks about a lot. I don’t know if you understand or know the work of Murray Bowen. It is leadership methodology, understanding ourselves from our family of origins. We have this DNA that is imprinted into us, like software that is loaded into our computer. Unfortunately, a lot of people just use the defaults with the software and haven’t learned to program it appropriately. A whole lot of the things you are saying really ring true, no matter where we are working. I call my audience social entrepreneurs because we are not doing the corporate things. We are doing something independent. However, we have lots of liabilities. Our assets are our liabilities. The things that make us independent also penalize us. The mindset difference. You also talk about consistency. That is a huge one in my book. You also talked about having a structure in place so you know what you’re supposed to do. Your white board thing is brilliant. Napoleon Hill talks about that. Read your goal and set your attitude. He found that all these people could not hold a positive and negative idea simultaneously. You’re hitting a lot of the strong points. These are all in your book, are they? Dave: Yeah, a lot of this is discussed. I have expanded upon it since then, but much of what I just said is in there. Even the structures side of it, you mention the structure. Once you understand this stuff, you have to have a way to systematically input it in your life. That is how you plan things and how you do little things. Every morning, Tony Robbins does something similar like this. I have my own spin on this. I do what I call my 10-minute prime. It’s ten minutes to center yourself before the day starts, especially in today’s age. We are getting hit from all sides of all kinds of things throughout the day. It moves so much faster than it did in Napoleon Hill’s time or even ten years ago. It’s funny. A lot of people don’t even think about this, but the iPhone is 10 years old just this year. Doesn’t it seem like it’s been a lot longer than that? It’s amazing where we have come and even more amazing where we are going to be a few years from now, let alone ten years from now. Having the ability to put that consistent structure in your life, that is what I do with my ten-minute prime. I do three things I’m grateful for for the day. I center myself around gratitude and start my day with gratitude. That makes such a huge difference. If you have ever had a day where you start off late and it snowballs from there, and everything seems like nothing goes right throughout the day, it’s because that negative start has compounded in your subconscious and continues into everything else throughout the day. Having a process like a ten-minute prime where you stop and say I’m thankful for this or that, I believe in this, and this is a great thing for those in the world today, that gets your mind in a whole different way. It stops that negative thinking and stops things from happening like that. Hugh: That’s huge. You are slipping in some gems. I want to highlight that. You begin with a position of gratitude. There is abundance we are not grateful for, and it’s there for us to claim. I want to highlight that. Sorry to interrupt you. But that is so key. Dave: No, not a problem. I fly a lot. I am in the travel industry. I do everything from speaking. I split time between here and San Diego or my biggest office is for Grass. I am back and forth. I do a lot of flying. I am still amazed at how annoyed people get flying. You are in a seat going 550 miles an hour through the air on your laptop working or watching a movie or whatever. Come on! 100 years ago, you were on horseback trying to cross the Rocky Mountains. Come on! It’s just amazing what we have at our disposal that we take for granted. Hugh: It’s amazing. You have a lot of nuggets in this. We will transcribe this so there will be places for us to underline all of this great stuff. Dave, I knew you were great. I didn’t know you were this great. This is awesome. I could talk to you all day, but I don’t think people are going to listen to us all day. So I try to keep these interviews to a manageable length. We are on the downside of an hour here. As we wrap this up, think about what are some of the key points you want to leave people with? We are serious about changing the world. We got great stuff. We are entrepreneurs, but we are compromised by all of these things you have highlighted. What are some thoughts you’d like to leave people with so they can continue thinking? What are some things you’d like to leave people with as final thoughts? Dave: The first thing is be deliberate about your success. Take some time to plan and write down what you want. Get clear on what you want. Be deliberate about it. If you have ever had a day where you feel you have worked really hard and at the end of the day have nothing to show for it, that is pretty common. That happens because we don’t plan for it. We don’t sit there and say, “What do we need to accomplish today?” The other half of my ten-minute prime is I do the three things I need to thrive for the day. These are the three things that are going to make the biggest impacts on my world, my businesses, family, relationships, whatever it may be for that day. I take the time to think through the three most important things I can do today to further our mission and what we are doing. If you do nothing else but that, it will make such a huge difference. Be deliberate about your success. The second thing is you can never stop learning. I always say your education begins after school, whether that’s high school or college. Whatever it is, your education begins when you decide that it really begins. Take that time. I knew in today’s fast-paced world, get on a regular regiment. Read, listen to podcasts, seek out things. Anything can be learned. Whatever you don’t know, you can learn. Seek out those that have done it. The beautiful thing about today’s world is you can access all of it. Whatever you want to learn is at your fingertips, and it’s probably free. Get yourself into a mode where you are consistently learning and growing. If you are not growing, you are dying. If you are not growing yourself and your knowledge and your capabilities, then you are kind of dying. You are not reaching your true potential. Those are two things that I think are really important to anybody in success, no matter what you do, whether you are a nonprofit or in business, whether you are an athlete or in school, whatever it is. The last thing is look for those little things. Look for those little things that you can do just a little bit better than anybody else. Think about it. The 100-meter dash in the Olympics is won by 1/100/100 of a second. That makes the difference. You take inventory of your strengths, understand what you are really good at, and be deliberate there. Look for those ways to get incrementally better so it translates to a big difference for you. You will be amazed at how fast you can grow if you do that. Hugh: Wow. I loved everything that you have said in this interview, Dave. Dave Lukas, D. M. Lukas, author of The Ten-Year Career, thank you for sharing your brilliance with my audience today. Dave: Thanks for having me on. It’s been a pleasure to be with you. Any questions anybody has, I am always open. I respond to all emails that are sent to me. www.misfitentrepreneur.com. Any way that we can help, let us know. Hugh: Here we are. I sent an inquiry. Thank you so much, Dave.